Creativity. Design. Art. Craft. All of these wonderful terms describe the making of something, anything, and each one has the ability to cause a bit of self-doubt…that is, it does if we don’t believe in ourselves, in our abilities, and our talents. 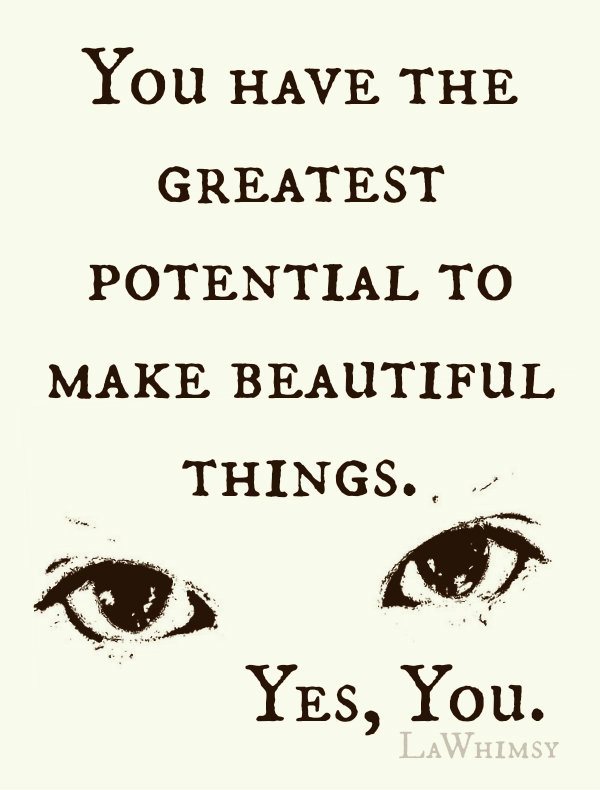 Each and every one of us has the greatest potential to create beautiful, amazing things. Yes, I do. Yes, You do. Each time you go to create, to design, to tap into your artistic, or crafting side, you need to realize that just by doing you are acting on that potential and even if it doesn’t turn out “right” or “perfect” it doesn’t matter. Those or just descriptive words, and subjective ones at that. Own your talents. Own your potential. Go. Do. Make something beautiful. You know you can. Yes, You. Thank You Anastasia ~ I think that so many can hold themselves back from creating and just a small boost of confidence can create amazing results!